Wild lupine (Lupinus perennis) stretch across the hillside of Sugar Hill, New Hampshire as the sun rises over the nearby mountains. Each year Sugar Hill hosts a "Lupine Festival" celebrating the beautiful wildflowers. Spring is my favorite season. You probably know that by now because I say it every year. This time of year I open my windows for the first time in months and let in the fresh air. It smells of damp earth and later will carry the sweet scent of blooming flowers. The songs of birds float through my window on a warm, gentle breeze. You can actually feel the energy in the air as new life bursts out of its cold winter shell. Pretty soon there will be more colors than Crayola has names for painting the flowers and trees and little critters will be scurrying about in reverent joy. Right now it is still too early for the stinging and biting insects that plague summer so there is absolutely nothing to stop me from enjoying it all. Everything about the natural world is ripe for enjoyment in spring. This will be my first entire spring in New Hampshire because this year I won’t be taking a two week trip to Baltimore and West Virginia like I have for the past five years. I will visit my mom in New Jersey for a couple weekends, but I’ll mostly be in New England and I’m so excited about it! By the end of May, which is only about six weeks away, I will officially have owned my home for a year and will have gone a whole year without boarding a plane. It may sound silly, but that milestone means so so much to me. I didn’t grow up traveling. I grew up in a modest house in suburban New Jersey never going anywhere. My first time on a plane was when I was fourteen, and it wasn’t until late college that I began to travel and explore regularly. Just a few years ago, I spent nearly one third of my time on the road, in other countries and other states. I experienced and saw many amazing things on my travels, but eventually, I got to the point where I just wanted to be home again. I grew tired of missing things and saying goodbye to people constantly, so I traded in my travel bags for some house keys and gave myself some roots. I quit being a self employed full time photographer and landed a normal full time job working with teens at a local non-profit. I LOVE my job, but its one of those jobs where 40 hours a week never quite cuts it and leaving work at work is impossible. So I take photographs far too infrequently because I’m tired often, and I’ve sort of made a habit of staying home and sleeping in on weekends because I actually really like my house and days off are only time I get to enjoy it. The funny thing is, even though I seem to be doing far less photography than I used to, I like being a photographer in New England so much more than being a photographer anywhere else. New England photographers are pretty cool! 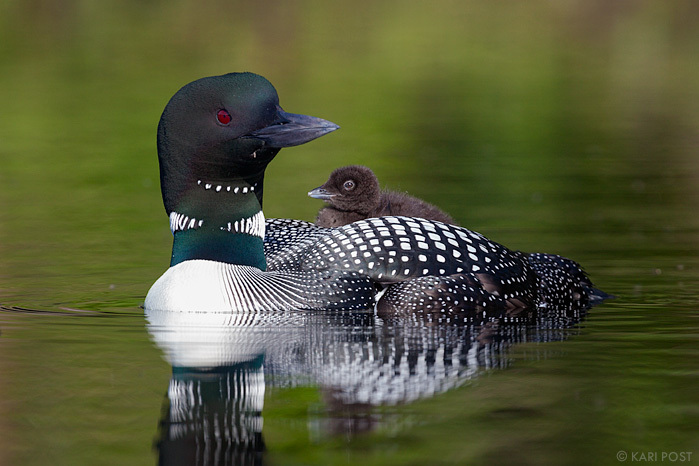 For the most part the nature photographers I’ve met in New England are humble, ethical, friendly, and make pleasant company. They generally know a lot about the subjects they photograph and treat those subjects with respect. They are polite and kind to other photographers, even going so far as to encourage and help each other. They know how to create incredible images in challenging conditions, and work with lesser known icons with a craftsmanship that rivals the work of well known photographers who travel to and photograph in exotic locations. They tend to stick closer to home and develop an intimate connection with the landscape and wildlife that they photograph and because of all of this they inspire me in a way that other photographers can’t. So even though I’m shooting less than ever before, I’m proud to call New Hampshire home and be able to shoot with the likes of Jerry Monkman, Jim Salge, Jeff Newcomer, Adam Woodworth, and so many others when I do actually pull out my camera. 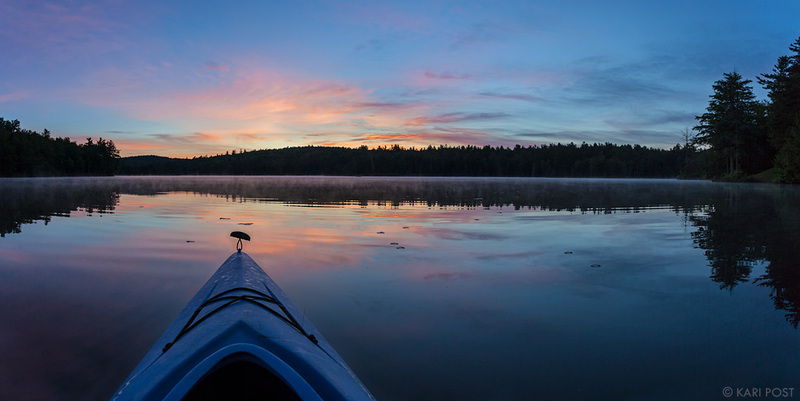 I hope I’ll get to meet some of those New England photographers I haven’t met yet, like Mark Picard, who is so passionate and knowledgeable about his favorite subjects – moose and Baxter State Park – that his photos of them are unrivaled. New England is a magnificent region with is no shortage of inspiring subjects and even after five years here there is so much more I want to see, explore, discover, and photograph. So hopefully this spring I’ll get a moment or two to enjoy the place I call home and maybe even take a picture or two to share. Being busy with other things does have its downsides, but at least it keeps me home and there’s no place I’d rather be. Posted in Incomplete Thoughts, Philosophical, Photography and tagged Adam Woodworth, home, Jeff Newcomer, Jerry Monkman, Jim Salge, Mark Picard, New England, New Hampshire, photography, spring on April 12, 2015 November 18, 2016 by Kari. The Power of Place, Coming Soon! After nearly two years of filming and post production, I’m excited to reveal that The Power of Place, the documentary about the Northern Pass that I had been helping Jerry Monkman create, is nearing completion and will be released to the public within the next couple of months. Jerry and I spent countless hours in the field gathering material for this film during the summer of 2013 and had hoped to release it much sooner, but Jerry was unfortunately diagnosed with cancer right around the time we wrapped up shooting so post production has taken much longer than we initially anticipated. Added to that Jerry and I live about two hours apart and once I started working full time last spring I wasn’t much help to him during the process, as it was challenging for me to find time to drive to the seacoast to work on the film. Jerry is now cancer free and the film is just about finished, and he is working on wrapping up the details of a contract for the film’s premiere sometime in the very near future. The Power of Place – Trailer from Jerry Monkman on Vimeo. So stay tuned, especially if you happen to be one of the fortunate folks who live in the great state of New Hampshire. We will be announcing details of the film’s release and premiere very soon, and hope you will be able to join us for the big day if you can. Until then, expect to see a ton of TPOP related posts and pictures from me. 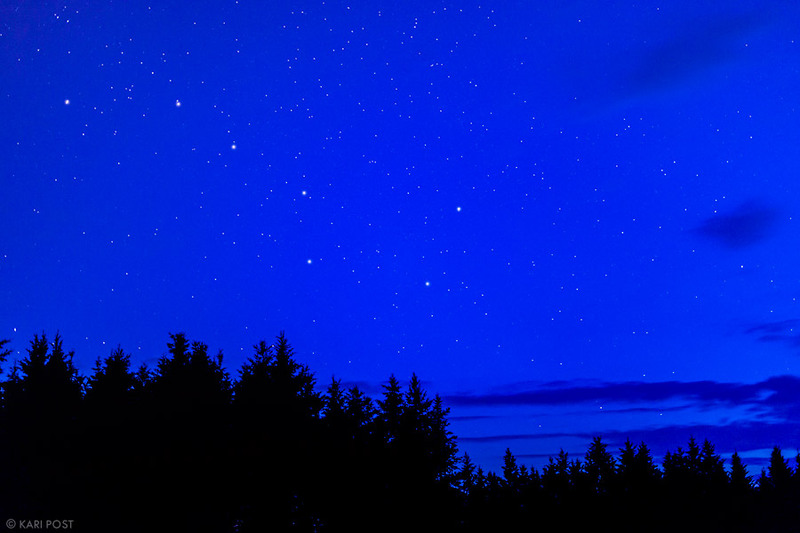 This photograph of the Big Dipper in the night sky was captured while filming for The Power of Place, a documentary about the Northern Pass, in Coos County, New Hampshire. Posted in Photography, Website Updates and News and tagged documentary, film, New Hampshire, The Power of Place, video on January 17, 2015 by Kari. I’m slowly adding photographs to my website from recovered images I received back from my friend E.J. Peiker after I made the mistake of accidentally formatting my memory card while leading the AMC Fall Photography weekend at the beginning of the month. I’m really happy with some of the shots I got, even despite not getting the best weather that weekend. 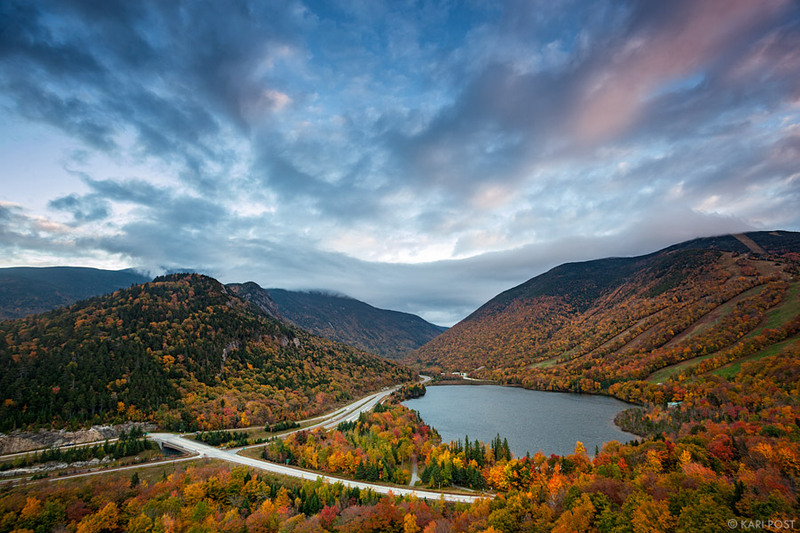 Clouds take on subtle colors as the sun sets over Franconia Notch in New Hampshire's White Mountains, while autumn colors paint the valley red and gold. 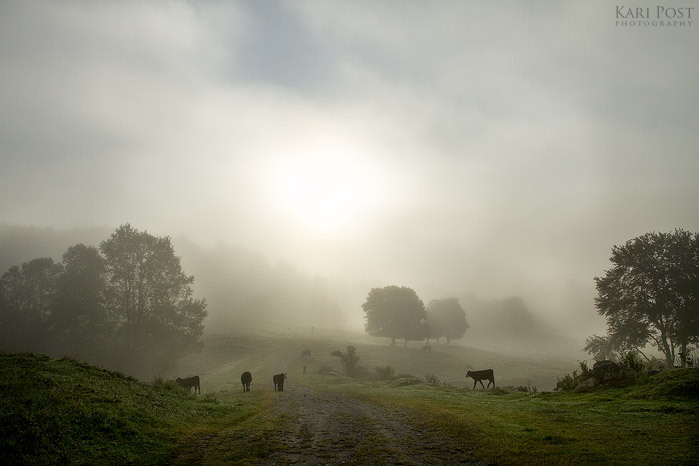 This photograph from Artist’s Bluff was taken while scouting the day before the workshop began. I ran into my friend Jim Salge on the mountain and we got the slightest hint of color before the clouds thickened and all light from the sun disappeared. I’ll admit I got a little fanciful with the processing of this one, but I think it captures the beauty of this location more than the muted RAW file. Just imagine what a spectacular sunset would look like from this spot. 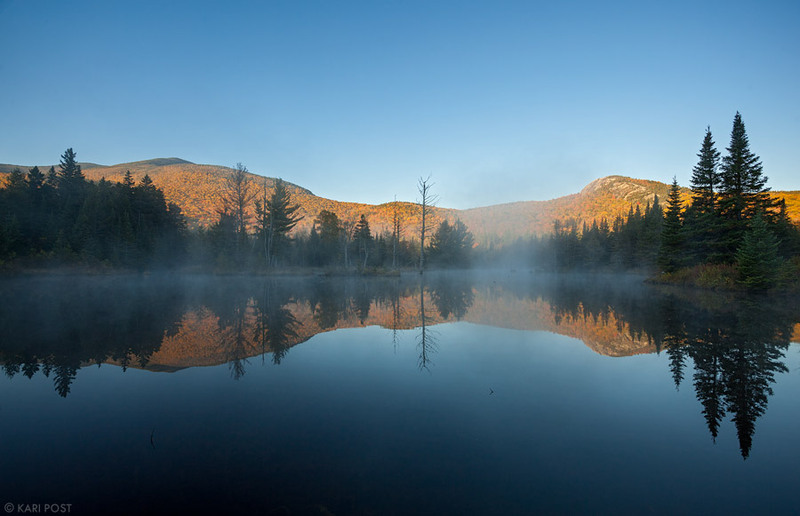 On a calm clear morning in New Hampshire, fog burns off the surface of a small woodland pond as sun illuminates the Sugarloaf Mountains, cloaked in peak autumn foliage, in the background. This is a location that Jim clued me in on after we shot at Artist’s Bluff, and I checked it out the next morning. It was one of the last scouting photographs I took before my participants arrived. Sunlight illuminates drops of rain along a woodland path, creating a glistening tunnel of autumn leaves into the unknown. This is the path that leads to the pond above, and this photograph was taken on the very last day of the workshop. It had rained the entire day before and the trees were glistening with sparkly rain drops. This was a cropped handheld grab shot, as the participants were not taken very much by this spot and in a rush to get breakfast, check out of the Highland Center lodge, and move on to our next location. 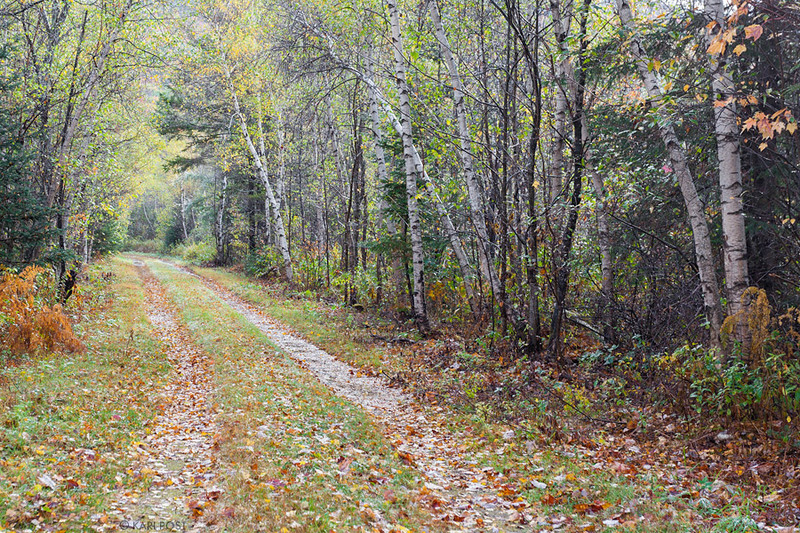 A dirt road winds through the woods in Sandwich, New Hampshire, past trees just starting to turn yellow with the first signs of autumn. Image ID: KP141005-1624040. On my way back from the White Mountains, I stopped in the Lakes Region to see how color was progressing. Things still looked pretty green there, but I managed to get this whimsical shot along one of the dirt roads leading to the shoreline of Squam Lake. These are some of the images that jumped out at me most and I got around to processing first. I’ve been super busy (last week I picked up a rescue dog to foster for a bit and he’s kept me occupied), but have some others that I’m sure I’ll get around to editing, processing, and posting eventually. Stay tuned! Posted in Photography and tagged AMC, AMC Fall Photography Weekend, Appalachian Mountain Club, autumn, landscape, New Hampshire, photography, White Mountains on October 21, 2014 by Kari. During workshops I keep participants busy and tend to keep myself even busier. I’m no stranger to long hours and longer days, so I’m ready for action dawn to dusk if need be. During workshops my clients are my number one responsibility and I tend to prioritize their needs as much as possible. They way I see it, there is so very much to learn and so little time to fit it all in, so I encourage clients to let me know what they want and need and to pick my brain as much as possible during our time together. I met my group Friday morning. After some brief introductions, we headed out into the field almost immediately. Friday was sunny and calm with mild temperatures while Saturday’s forecast looked unpromising, so we wanted to maximize time in the field when we had good weather. After visiting a couple nearby locations, we returned to the Highland Center for lunch and an afternoon program, took a short break, and then headed back out into the field for sunset. Bold colors and fancy clouds never materialized, and the wind had picked up significantly in the afternoon, but we still managed to capture some great moments. The next day was dreary. I woke up to heavily overcast skies and encouraged the photographers to sleep in a bit longer to wait for brighter conditions once the sun had risen a little higher in the sky and its light was better able to penetrate the clouds. Conditions had barely improved by mid-morning and were only predicted to get worse, so instead of venturing to a location in dismal conditions, I took the group for a walk around a trail near the Highland Center and showed them some of New England’s cool flora. I showed them hobblebush, a plant with leaves that often turn a patchwork of colors in autumn, and discussed the cool evolutionary adaptations of paper birch. We sniffed at yellow birch and tea berry inhaling their minty fragrance, and I pointed out the differences between the leaves of sugar maple and red maple. I introduced them to the many plants I recognized and they photographed details along the trail, finding images in even the least photogenic of the places we would visit. In a way, the rain helped us connect even more deeply to the land and the experience it provided. In lieu of the grand scenics of the White Mountains in their full autumn glory, we focused on the smaller components of nature that are the building blocks of this vast and beautiful landscape. We spent the rest of the day in the classroom, reviewing programs and critiquing images. Winds picked up and rain fell, making photographing outdoors a tricky and unpleasant experience. While I strongly encourage photographers to explore a variety of conditions and embrace nature in all her forms, there are some times when the rewards and are hard to come by. I’ve never had much luck photographing in wet and windy conditions with little light. By Sunday morning, the weather had subsided a bit. At sunrise, the clouds were still too thick on the horizon to let in any light, but by mid-morning some of the lower clouds had started to burn off and the sun began to shine through. We spent the morning capturing some great scenes and visited a handful of locations. 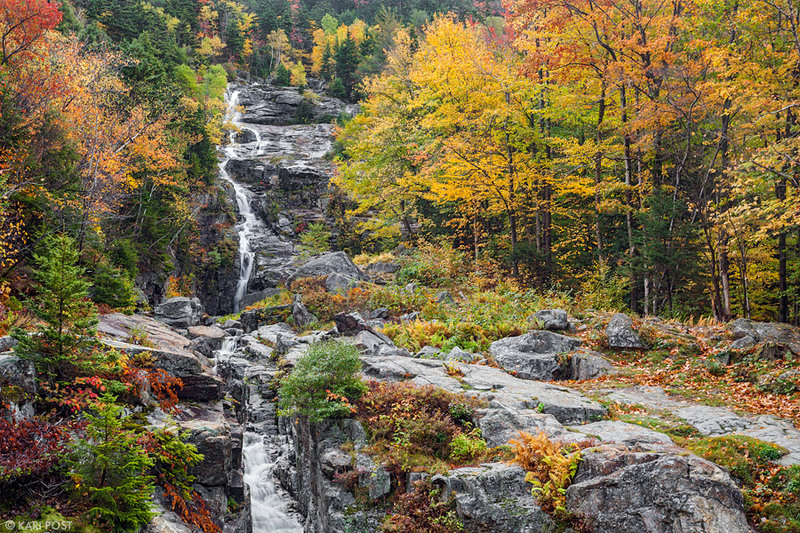 At one spot, at the Silver and Flume Cascades along Route 302 in Crawford Notch, I ran into another photographer friend of mine, Adam Woodworth. Then, before we knew it, it was time to return to the Highland Center, pack up our stuff and check out of our rooms, eat our last meal together, and say goodbye. Goodbyes can be tricky. Sometimes people linger. Sometimes you feel as if the time passed too quickly and the goodbyes come to soon. Sometimes, goodbyes seem to come before the end does. In this case, the workshop felt complete. Sure it would have been great to spend more time in the mountains and hang out with the kind folks in my group just a little longer, but I felt satisfied. I felt happy. I felt whole. I finished up my final paperwork (and placed the folder on the roof of my car just in time for a stout wind to blow its contents all over the driveway – thankfully a kind AMC employee helped me track down all of my runaway papers), said thank you to anyone I could find at the AMC that had helped throughout our visit, and started back on my merry way home. I stopped in Bartlett to look at small cabin for sale (a girl can dream, right? ), swung by the White Mountain Cupcakery to pick up a dozen maple bacon cupcakes for a friends’ party (best cupcakes ever and totally worth getting stuck in North Conway Village leaf peeper traffic), and passed through the Squam Lakes region to see if I could capture fall color in a different area (it hadn’t quite arrived there yet and there was not a cloud in the sky by the time the sun set). With all my stops and detours on the way, I ended up making it home well after dark, tired and ready for bed. But of course, when I lay down, the wheels in my head wouldn’t stop spinning. I am lucky. I truly am. Every day, I do things I love. Whether it be playing games with kids in a field, teaching teenagers to rock climb, or sharing the experience of nature with others through photography, I am usually having fun. I realize that for many others, their reality is quite different. Many work long hours just for the chance to play on weekends. For me, work is play. My work is exercising my body and mind, laughing, breathing fresh air, creating and building relationships with people, challenging myself, and capturing the beauty of everyday life, in words, in images, and in memories. My day to day experiences are so rich, I rarely think much about the money I make (not much) or the hours I put in (a lot). Most days my work is truly a pleasure, and it fills my life with a sense of purpose and a profound and genuine happiness. Most days, work is worth it. Sometimes I need a trip to the mountains to remind me of all this because I’m not perfect. Because I care so deeply about the work I do, I put my whole self into it, and sometimes that means I don’t always make time for me and get burnt out. When I feel overwhelmed, I’m snippy, sassy, and impatient, and let unhealthy habits surface. I am not my best me, and I don’t like myself very much. But all I need is a little reminder of the me I am proud of, the me that is deeply grateful for all of the many opportunities I have been given and the fantastic people in my life. Usually all that is needed to set me right again is a dose of whatever it is I have been missing. In this case, it was simply an adventure in good company, exploring a land that speaks to my heart and soul, that is both familiar yet at the same time filled with new and excited undiscovered surprises – a reminder that I am home. This is the third and final installment of a short series of blog posts about my experience leading the AMC Fall Photography Weekend. Read Parts 1 and 2 here. I will be updating all of these posts and my website with more images from the weekend, once I manage to get them recovered. Posted in Philosophical, Photography and tagged AMC, AMC Highland Center, Appalachian Mountain Club, autumn, Fall Photography Weekend, New England, New Hampshire, photography workshops, reflection, White Mountains, White Mountains National Forest, workshop on October 10, 2014 October 10, 2014 by Kari. For me, one of the hardest parts of leading a workshop is the fear that I will disappoint my clients. Typically, I know very little about my participants until the moment I meet them and it is impossible to predict the diverse range of abilities, photographic and otherwise, belonging to those who sign up for any given workshop. Catering an experience to meet the needs of participants is challenging without knowing in advance what those needs are, so even the best planned workshops of mine are always largely improvised. Itineraries always change, and lessons and locations often get decided upon last minute. I’ve always gotten very positive feedback from the workshops I lead, so I’m not really sure why that fear of failure lurks still, but its definitely there. One of my worries going into the AMC Fall Photography Weekend was that I really had no idea what the fall foliage was up to. I live about 2 1/2 hours south of the White Mountains and due to other commitments I had not had any opportunities to visit the area since a climbing event three weeks prior. Because of my new job and lack of accumulated vacation time, I couldn’t get up to the Whites any sooner to check out the foliage, so I ended up with just one day to scout – one day to figure out enough spots for three days of shooting in a variety of possible weather conditions I could not accurately predict. So Thursday was all about scouting. Or at least it was supposed to be, but of course things are never really that simple. While working on my programs the night before, my laptop screen went dead. Normally this would be annoying and mildly inconvenient because I use an external monitor at home, but two nights before a workshop and three hours from home is far less than ideal time to have a major component needed to deliver your instructional materials die. Because I didn’t have a backup monitor or computer with me, I spent a chunk of Thursday morning scavenging the Highland Center for an external monitor and then heading into North Conway midday to pick up extra adapters to connect the monitor and projector to my MacBook. To rub a little salt in the wound, I also managed to spill a bottle of water in my car and soak a couple of my guidebooks, one of which, ironically, was the White Mountains Waterfalls guidebook. Equipment casualties aside, Thursday was a great day. I drove down 302 and Bear Notch Road, downtown and along the Kanc, and up I-93 and Route 3. I stopped at dozens of places, including rest stops I had never visited before and places that had many memories attached to them. Unlike most other times I explored the area, I was alone and had the freedom to explore as I pleased but also a clear mission: to hit as many potential spots as possible in a day. I usually visited a spot only briefly – long enough to assess the foliage, accessibility, and under what conditions the light and photography would be best – before moving on. I trotted along trails and snapped iPhone shots of everything. My first visit to New Hampshire was in February 2009, and on that trip I saw Mount Washington and the White Mountains for the first time. Since then, I relocated to the state and have done my fair share of hiking, camping, climbing, and exploring in these magnificent mountains. My connection to this land is very tangible – I remember my first visits to many places and I remember the people who introduced them to me. Revisiting familiar places while scouting became a trip down memory lane. I fondly recalled bringing my mom to The Basin, camping with Camp Dudley’s Boys Camping Society at Covered Bridge Campground, hiking up the Hancocks with my friend Brett and his dog Pemi who was named after the Pemigewasset Wilderness, and stopping at highway pull-offs with various groups of friends, from the folks at Brooklyn Outfitters who brought me up Mount Washington in the winter for the first time to my friend Lisa from New Jersey, one of only three people from that area that have come to visit me since I moved to New Hampshire four years ago, to my ice climbing buddies. Many of the places I visited were recommendations from my friend Jerry Monkman, a fantastic photographer based out of Portsmouth, NH. Jerry’s images partially inspired me to move to New Hampshire, and at this point he is a good friend of mine – I know his family, pets included, and we spent all of last summer working on a documentary together. Jerry has authored numerous books about photography and exploration in New England, several of which were published by the Appalachian Mountain Club, and he even used to lead the AMC Photo Weekends. That was until last year, when a cancer diagnosis left him too ill to do so, and Jerry kindly suggested to the AMC that I take his place. Thanks to Jerry, I have had many amazing photo opportunities since relocating here. So it was only fitting that, as I scoured the land in search of photo spots to take my group, Jerry should be the one guiding me. The last place I stopped on Thursday was a location called Artist’s Bluff, which overlooks the highway intersections at Franconia Notch and provides a great view of Echo Lake and the surrounding mountains. I found my way to the top, taking the long route, and snapped a few photos as the sky grew dark with clouds. Thinking there would be no sunset and I was going to miss dinner if I didn’t make it back to the Highland Center by six, I turned and headed down the mountain only to run into another photographer on his way up – my friend Jim Salge! He chided me on heading down before sunset, and I immediately turned around and hiked back up to the bluff with him, where we waited together for color that never came. This iPhone photograph shows the beautiful fall foliage in Franconia Notch last week, as viewed from Artist’s Bluff. I’ll explain why this is an iPhone shot during my next installment of this series… stay tuned! Here’s where the story gets really cool – my very first visit to New Hampshire, back in 2009, was largely because of the efforts of Jim. At the time, I was dating another photographer and the NH trip was a Christmas present. My boyfriend had stumbled across Jim online and sent him an email, and Jim ended up giving him a ton of advice as to where we could go and shoot. Our whole vacation itinerary was based on the recommendations of Jim Salge! I never met Jim on that trip, but later, when I moved to NH back in 2010, we went on an overnight hut trip in the Whites and have been friends ever since. Even cooler, Jim is a New Jersey native like me. He moved to NH after college at Rutgers University to work as a meteorologist in the Mount Washington Observatory, and loved it and stayed. His story is not too dissimilar from mine, so you can imagine how awesome it was to run into him on the mountain. After shooting, we headed back to the Highland Center, where Jim filled me in on a couple other spots near Crawford Notch where I could bring my group. 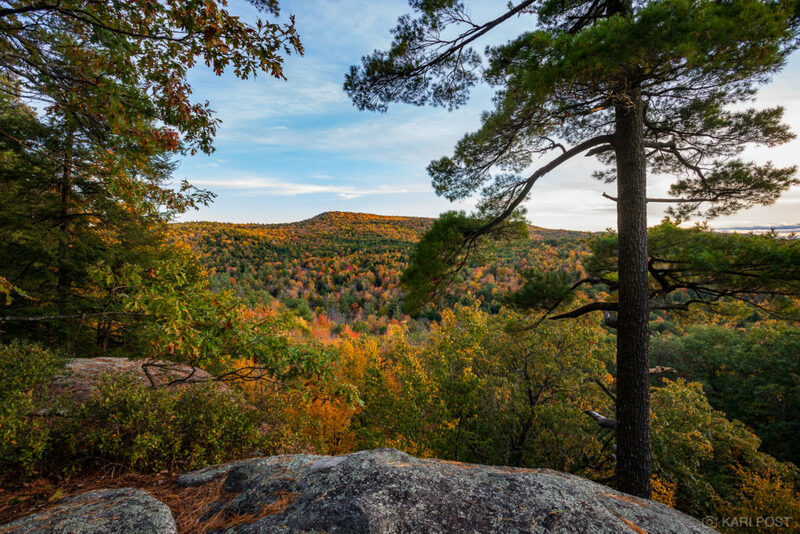 Jim was headed in another direction – he’s the blogger behind Yankee Magazine’s Fall Foliage Reports, so he has a lot of ground to cover and a short window in which to capture and assess foliage throughout the region. I ended up scouting the two locations the following morning – just hours before my participants arrived – and they ended up being some of the most popular spots on our trip. So in just 24 hours of scouting, I was reminded of how wonderful the photography community we have here in New England is. In no other place have I met photographers so consistently kind, open, and friendly, and willing to share awesome locations with others. Territoriality doesn’t seem all that common here and that’s kind of nice. In New England, photography, like many other aspects of our culture, is a collaborative process not a competitive one. Thanks to friends like Jerry and Jim, I have become even more familiar with the land I love, and every time I visit the places they have shown me I am reminded of our friendship in a beautiful way. Posted in Photography and tagged Appalachian Mountain Club, Artist's Bluff, Franconia Notch, Jerry Monkman, Jim Salge, landscape, New Hampshire, photography, White Mountains, workshop, Yankee Magazine on October 8, 2014 October 10, 2014 by Kari. This past weekend has been a very cool one for me because it has reaffirmed what I’ve felt about this state for some time now – New Hampshire is home. The weekend started on Wednesday. I left work at the Y, stopped home to grab a few things, then began the long drive north to the White Mountains. I was headed to the AMC Highland Center in Crawford Notch, where I would be staying for the next four days while scouting for and leading the AMC Fall Photography Weekend. Along the way, I stopped at the Basin, one of my favorite rest stops along I-93. As I walked the familiar paths my mind flooded with memories the Basin – my first stop with photographer and friend Jim Salge in September of 2010, shortly after moving to NH, one time when I stumbled across a lovely couple visiting from England and gave them an impromptu tour of the Basin’s waterfalls, and of taking my mom here, on her only visit to the state I now call home. I continued on, driving through Franconia Notch in all of it’s autumn glory. I love the Notch too. Cannon Cliff is always impressive, and I always struggle with my inability to capture the glorious views one sees as they speed along the highway here. There are no pull-offs, and the Notch really ought to be appreciated at a speed much slower than 60 mph. Franconia Notch was as beautiful as I’ve ever seen it, its tall exfoliating rock faces towering high above the golden trees in the valley below. The journey was peaceful and invigorating. Inside my cramped, messy car I felt alive, surrounded by the wild and rugged beauty of the mountains. When I finally arrived at the Highland Center, dinner service was just starting. I checked in and was brought to a table where a group of four people had already been seated. Dinner at the Highland Center is served family style most nights, which provides ample opportunity to meet new people and enjoy their company. My dinner companions were attending a workshop related to their work in the NH foster care system, and I found them to be delightful company. We shared stories, and they showed great interest in my photography and travels. The walls of the dining room were decorated in photographs by Jerry Monkman. 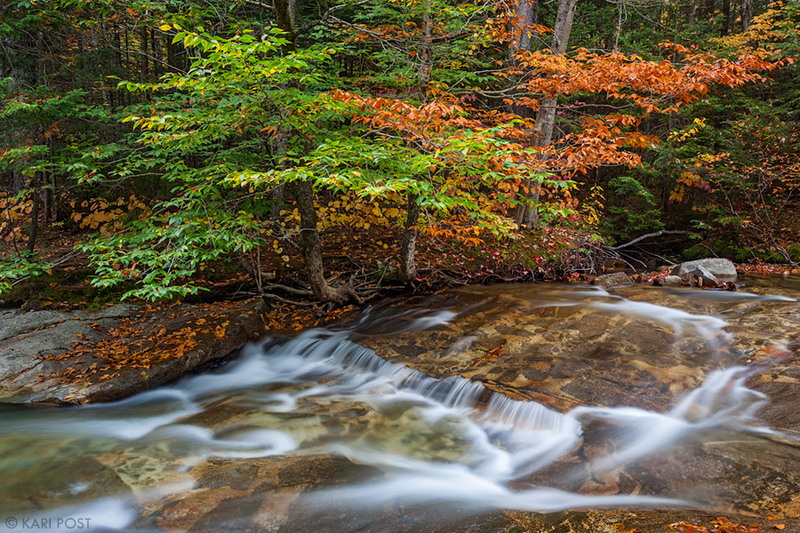 This fact gave me great comfort, as it reaffirmed my connection to this place – to New Hampshire, to the AMC, and to being the instructor for the AMC Fall Photography Weekend. This gig had once been Jerry’s and when he was unable to do it, he recommended me. Here I was, on his stomping ground, leaving my own footprints. To follow in the steps of someone I respect and admire as much as Jerry is in itself a worthy accomplishment. After dinner I settled into my quaint and cozy dorm room. The small space seemed spartan, but within 24 hours, it would feel like a wonderful temporary home. It would remind me of things I had long forgotten I had once enjoyed, such as living on the freshman floor of my college dorm with friends just down the hall or at the staff house at Project U.S.E., where modest accommodations and shared bathrooms and showers seemed simple and satisfactory. The journey had barely begun and already, I felt myself returning to my roots, as if I was finding something at my core that was vital to my happiness. Something about being in the mountains, taking photos, and the feeling of community that started just that first day was awakening a part of me that had disappeared for a little while. I liked the way it felt. This is Part 1 of a multi-post series about my weekend at the Appalachian Mountain Club Highland Center leading a fall foliage photography workshop in the White Mountains. Please check back soon for Part 2 and Part 3. Posted in Philosophical, Photography and tagged AMC, AMC Highland Center, Appalachian Mountain Club, Crawford Notch, Franconia Notch, Jerry Monkman, Jim Salge, New Hampshire, White Mountains on October 4, 2014 October 10, 2014 by Kari. These days, I’m not prioritizing photography very much. But if and when I can find or make time for photography, I know I am able to pick up my camera and find a subject I love nearby and that’s pretty special. I live in a beautiful place. Not a week goes by where I don’t feel lucky for that. I would be lying if I said I noticed it every day, but most days I do. Sometimes I notice it only briefly on the ride to or from work. 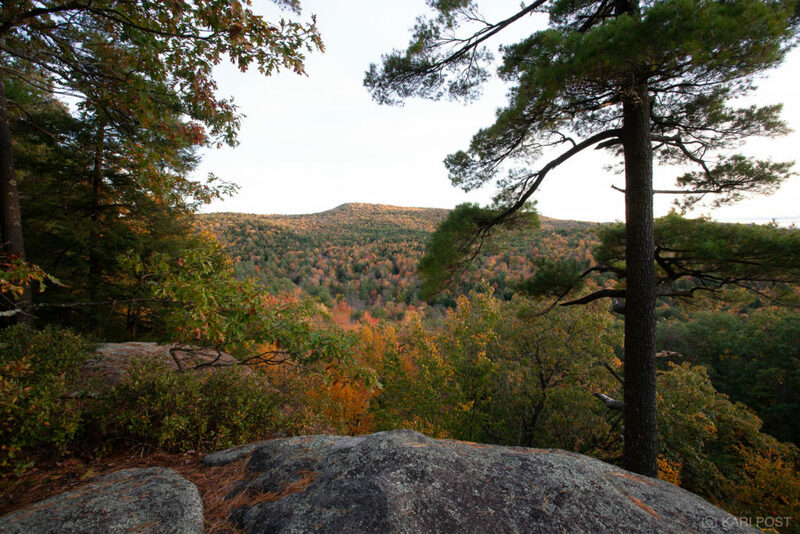 I’ll see Monadnock rising high in the sky against the fading daylight or fog lifting off beaver swamps at the break of day, the sun penetrating through the forest mist in rays of shimmering light. Sometimes I go for morning runs around a local pond, and no matter how many times I tread the same path, I still can’t help but admire the view. On the days when I notice, I think, boy am I lucky to live in a place like this. Posted in Incomplete Thoughts, Philosophical, Photography and tagged New Hampshire on September 10, 2014 by Kari.